Where Would I Be Without My Dad? That is a pretty simple question, right? The first answer that comes to mind is that I wouldn’t be here at all, and well yeah that’s probably right, but that’s not the answer I am looking for. I wouldn’t be here today on the verge of turning 38 without the confidence I received from my dad. I wouldn’t be writing this article if it wasn’t for the confidence I received as a child from my dad. My dad was always one of those dads who never said no if you really wanted to learn something, but I was always one of those kids who might have think twice or even three times before starting something new, and then had to think really hard about wanting to finish it. I remember being 8 years old and my dad taking me to the tennis courts to play tennis with him and my then 5 year old brother. My brother was good from the get go, where as I needed help, and my dad was always encouraging me, and instilling the confidence in me that I could be a good tennis player as well. He did the same thing about 10 years later when our church was forming a choral group for the weekly youth mass. It wasn’t something I initially thought about, but I figured I would show up anyways; the choral group turned into a trio because only 3 girls showed up. I was scared out of mind, but I did it and I learned that as tone deaf as I thought I sounded I could sing in a trio. My dad who couldn’t read a note of music, but could sing anyways had the confidence to join the adult choir, so why couldn’t I? When I decided to major in communications in college because I wanted to study broadcasting my dad never discouraged me from it because he wanted me to study what I wanted to study. I needed his confidence even more my junior year when I moved 500 miles away from home, and I got an F on a college paper, and wanted to go back to my old university where school hadn’t been such a challenge. Confidence and knowing that I was doing something I loved and my parents approved of kept me going. When I was offered a full time job crunching numbers for the government a year out of college, did I turn it down because I didn’t take a single business class in college? Nope, I used the confidence I had gained from my dad who had a career as a wine salesman, and jumped right in. Almost 15 years later I am still crunching numbers for the government. I look at the confidence I received from my dad, and I hope that I am giving that same confidence to my daughters as they grow up. I know the world will think that they gain all of their confidence from their mother, but I really hope that when they are grown up and have children of their own that they know that they got lots of confidence from their dad too. 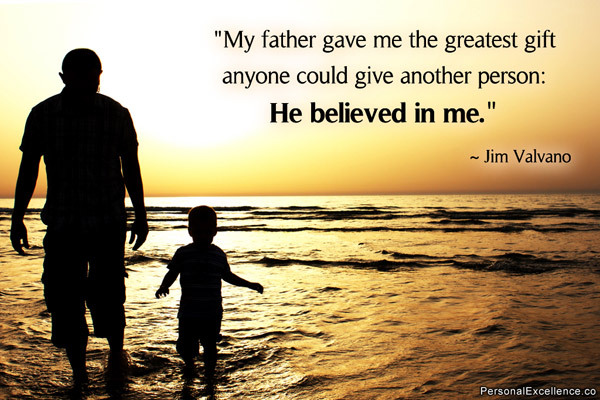 This entry was posted in Character Development and tagged #confidence, #fathersday, #inspiration, #JLLB, #lifelessons, #theconfidencepost. Bookmark the permalink.